This collection of these whimsical and charming graphics is perfect for all your Italian or travel projects. 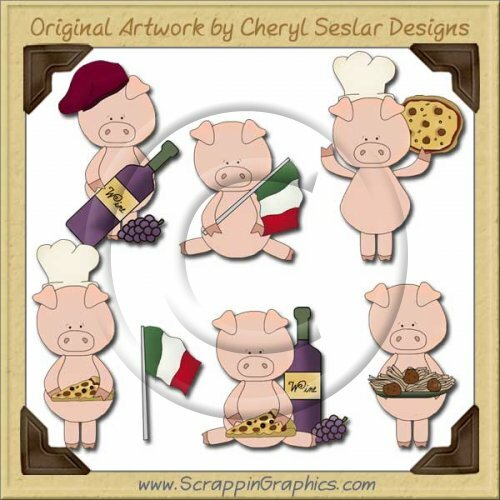 This set includes 7 different clip art graphics: chef piggy with slice of pizza, piggy with plate of spaghetti, piggy with bottle of wine, chef piggy with pizza pie, piggy with Italian flag, piggy with pizza & wine, Italian flag. Great collection for making scrapbook pages, cards, labels, tags, invitations, and other printables.